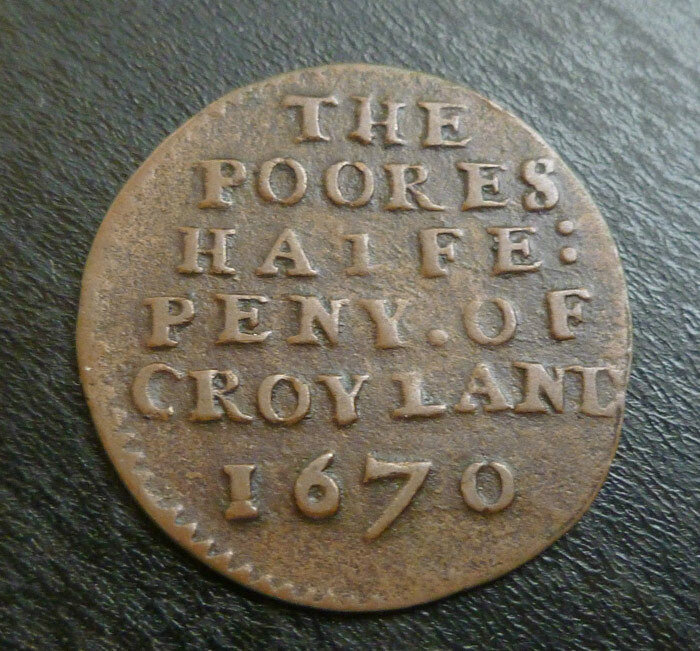 A superb halfpenny Traders Token dating back to 1670 Crowland. 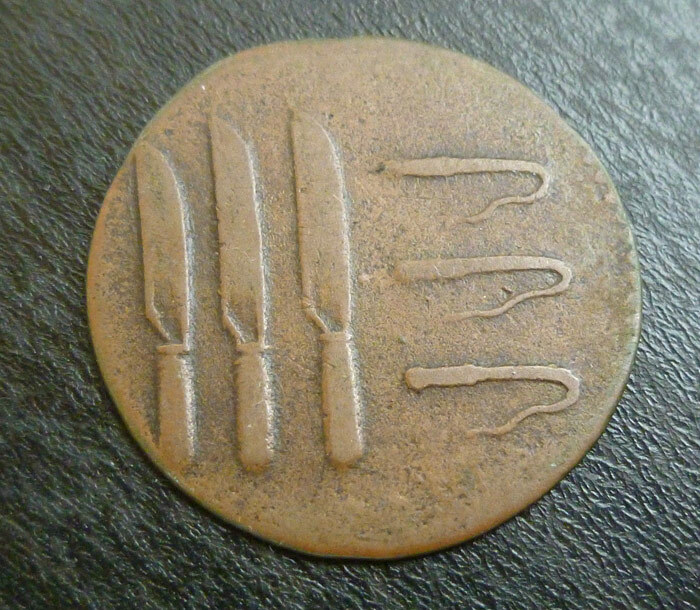 The coin was issued by ‘the overseers of the poor’ and paid for basic/simple work. The rear shows the Crowland Abbey coat of arms.